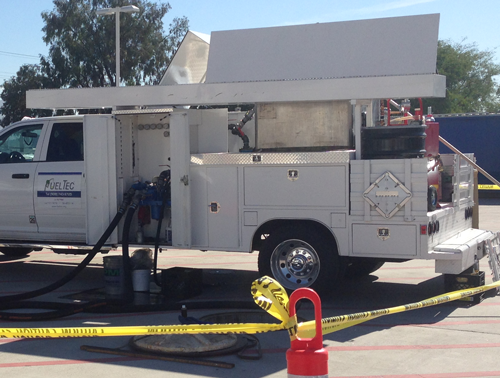 "Fuel Polishing • Compliance Testing • Station Tank Maintenance"
FuelTec is working for you! Fueltec, Inc. specializes in Fuel Polishing and Tank Cleaning, Hazardous Waste Removal, Fuel System Testing, Maintenance and Repairs. We strive for great customer service while focusing on quick response times, quality work, and safety. Our equipment is specialized for the task and Industry approved. We have the experience to yield Quality work as the Result of Intelligent Effort! Fueltec, Inc. is a Service Disabled Veteran Owned company. We provide services to many Government Agencies, Utilities companies and private industry tank owners/operators. If you have a fuel dispensing facility or a storage tank for back-up power generator, we are at your service.